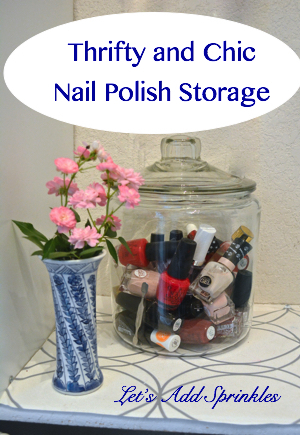 I just love my storage solution for my collection of nail polishes. 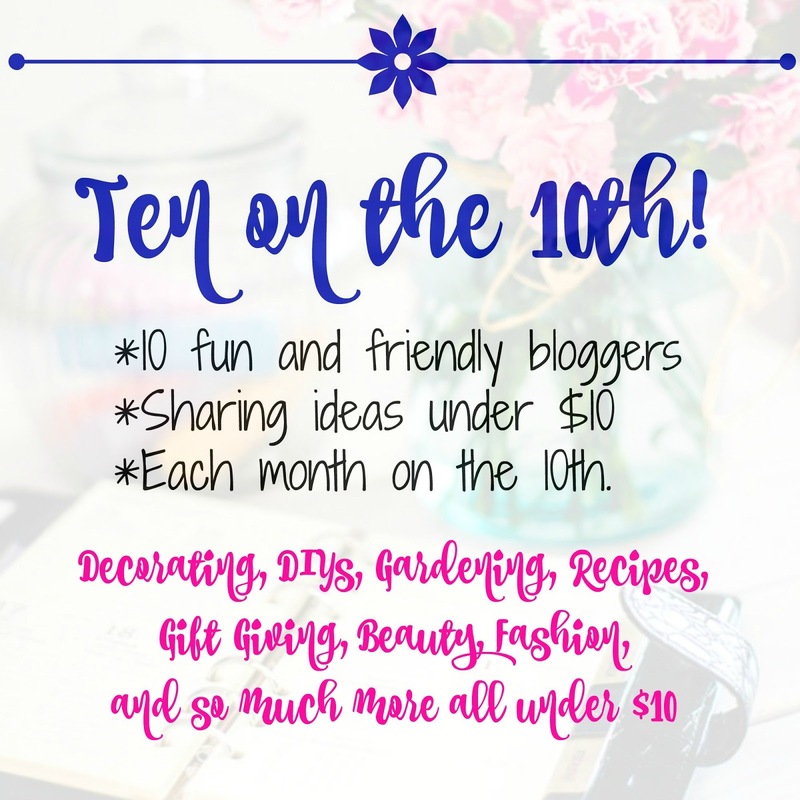 Welcome to Ten on the 10th where 10 bloggers share ideas under $10.00. 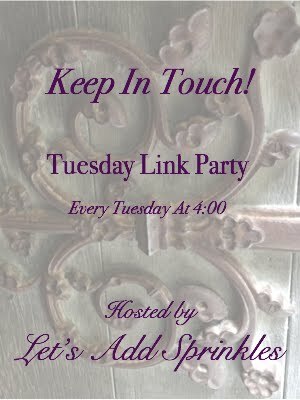 This month we are sharing beauty, fashion or organization ideas. I usually do my own nails. 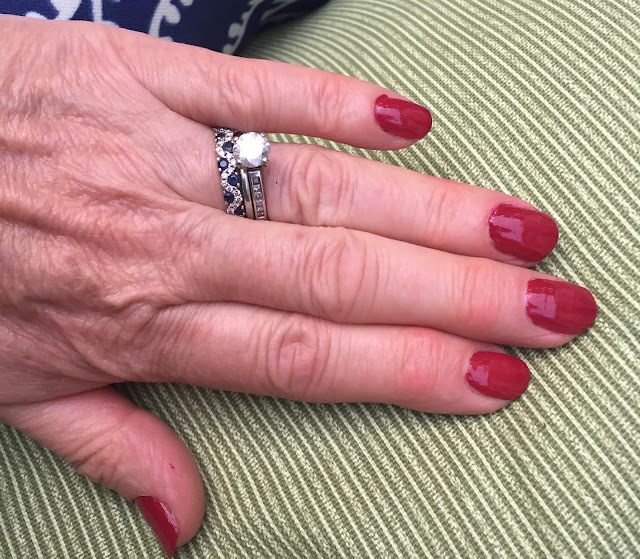 When I was growing up, going to the nail salon was a luxury, even in Westchester County, New York. Now it's pretty routine for a lot of people. 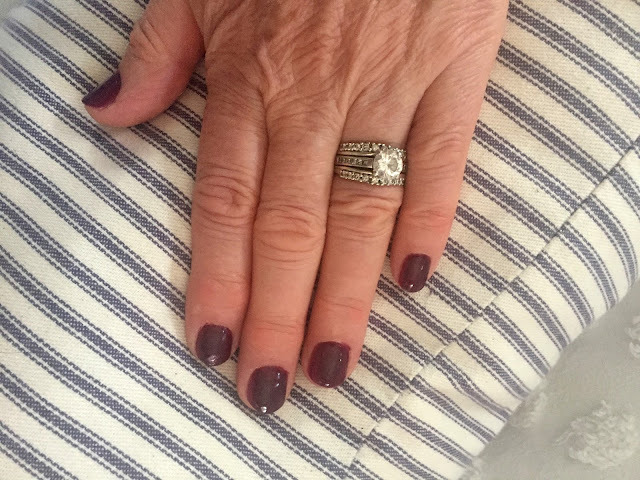 I will go to the salon on occasion as a splurge but doing my own manicures and pedicures has been a huge money saver. That way I can splurge on other stuff. blush pink most of the time. I picked up a glass jar at Walmart. 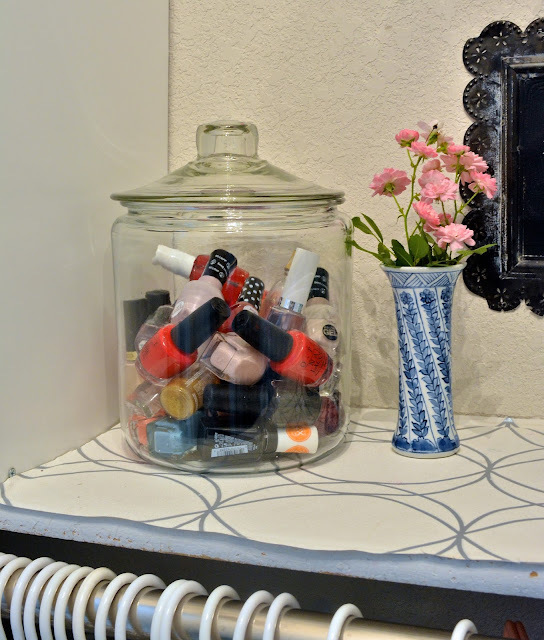 It allows me to display and store my nail polish collection. Spills are contained, should any occur. You can get yours for $7.44. This is an Anchor Hocking 1 gallon jar. 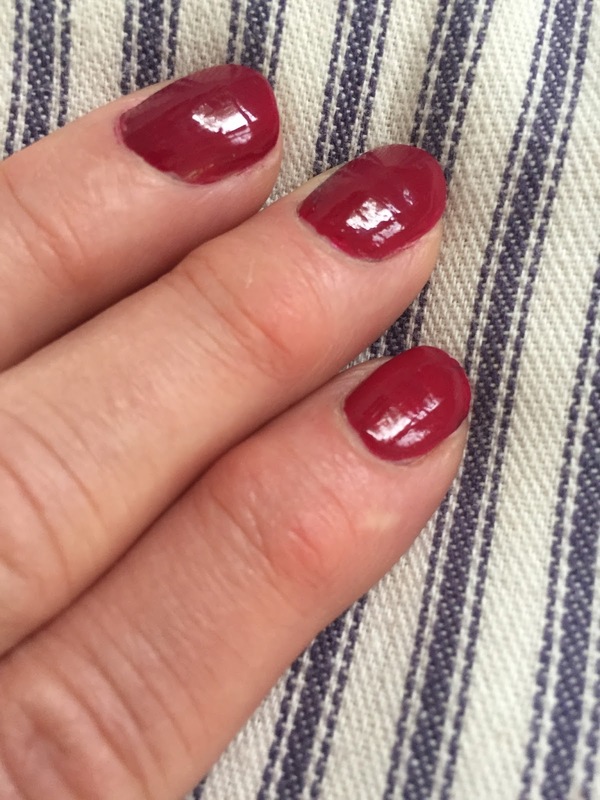 If going to the salon is in your routine, a collection of your favorite colors is necessary to fix boo-boos. I'm a classic smudger. I can't seem to sit still long enough to allow my nails to dry. My old eyes have trouble seeing my nails clearly. I've solved that problem by wearing two pairs of readers. I put two pairs of glass on at the same time. My pedicure usually lasts three weeks. My fingernails last about four days. All my DIYing and crafting takes it's toll on them. Nail polish remover also dries them out. If you have tips to remedy that, leave a comment below. My nail polishes have a pretty display even when my nails aren't polished. It reminds me of gum balls in a candy jar. I love the vintage look to this jar. It also looks cute in my closet. 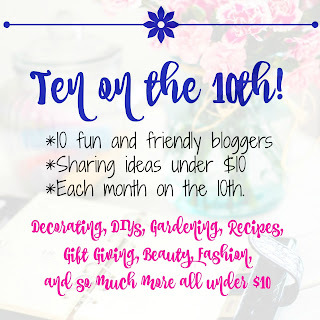 Hop over to see what the other Ten on the 10th bloggers are up to. Perfect solution!! I am laughing because I can't imagine wearing 2 prs of readers at the same time to do nails - Is that what you meant or did I read it wrong? LOL What a neat closet you have, too!! I am envious! Your nails look fabulous! 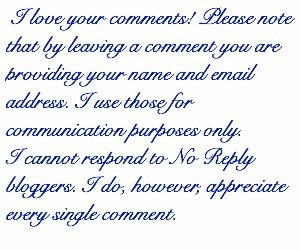 You are very good at it and I love your selection of colors. I've been getting mine done lately and they last 3 weeks but it's just temporary. I always go back to doing them myself. Spending less on one thing so you can spend more on another is my way of operating too. Katie you crack me up! My BFF Rox wears two readers to do her mani/pedi's too. I've tried but can't seem to be co-ordinated enough to keep them in place! 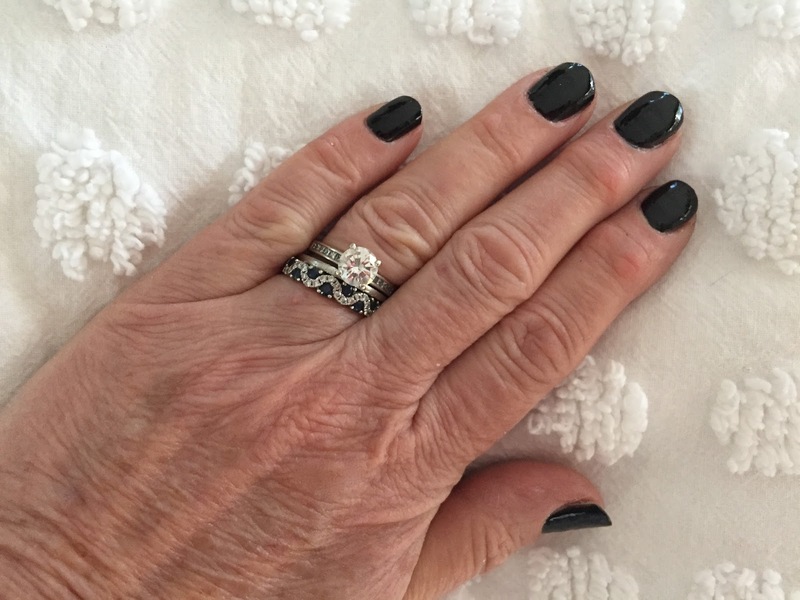 I'm with you - I wash my hands so much that my mani lasts 5 or 6 days if I'm lucky. 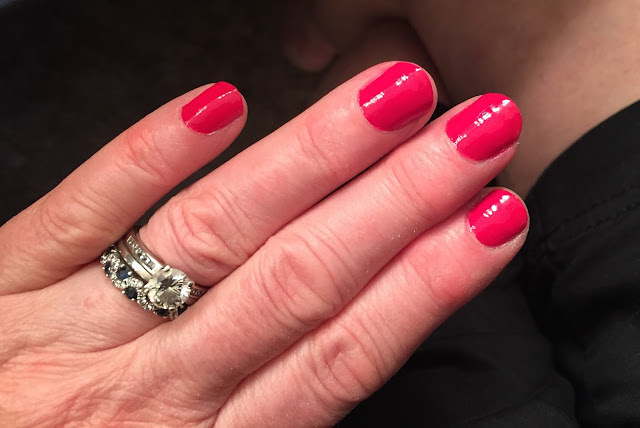 Just found a new gel polish (at the Dollar General - was in a small town of OK) $2.00 and I love it. 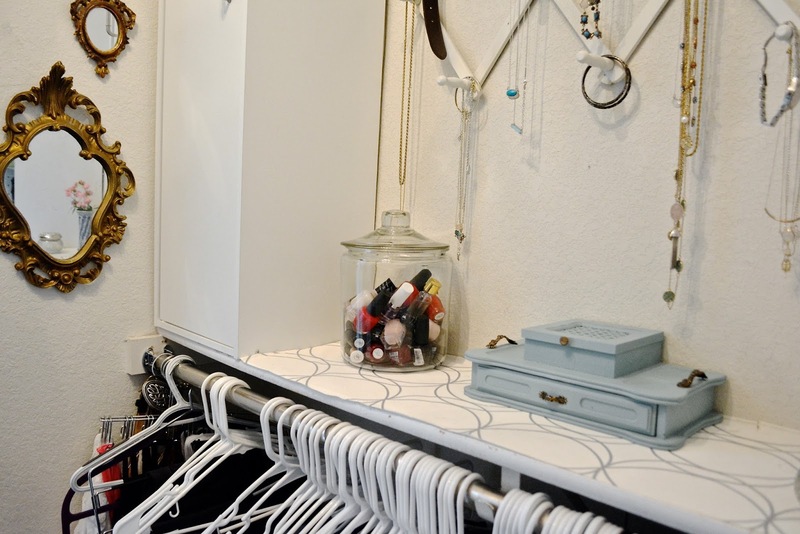 Great storage idea. I have that jar, just need to find a good place to put it. The polishes look so pretty in jar and yet so practical. I'm going to get one for my daughter. I love your polish solution! Mine are all hidden and I forget what I have. I just wish I could paint mine as neatly as you do! That's a cute idea. And it would work for loads of things, too -- little lotions and soaps. 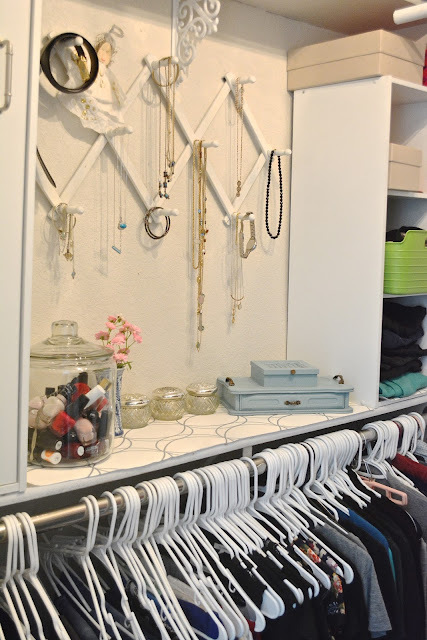 Katie, your closet styling is so cute! 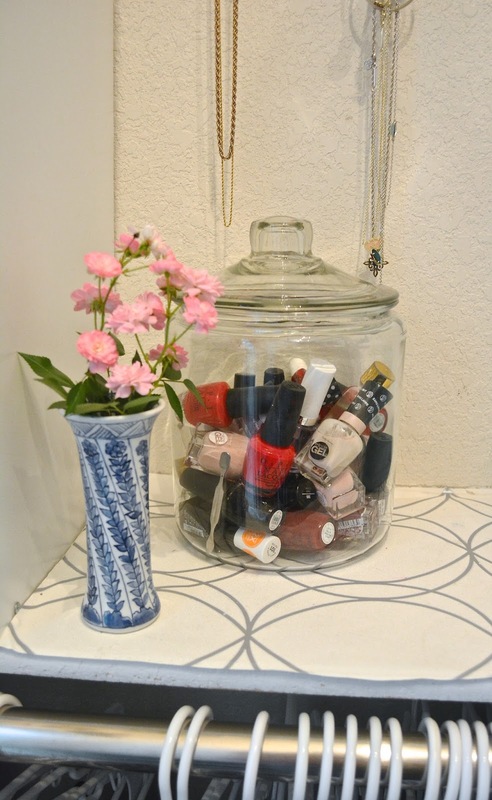 What a great idea to put your nail polish in a pretty container. It's not just practical, but adds color and fun. I'll have to admit, I do splurge on mani~pedis because I don't have the patience to do it myself. I love taking naps while someone rubs my feet. Thanks for sharing a great idea. I love clear storage jars because you can see what you have. 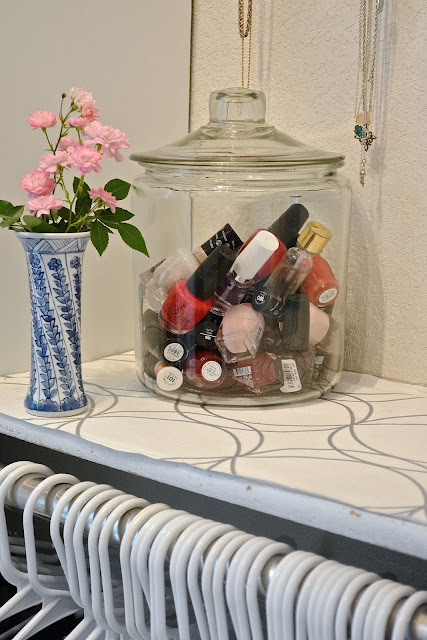 Storing polishes in one is a great idea. The one splurge in my life is having my nails done on a regular basis. Yes, I fidget some and don't like how long it takes, but LOVE the results. 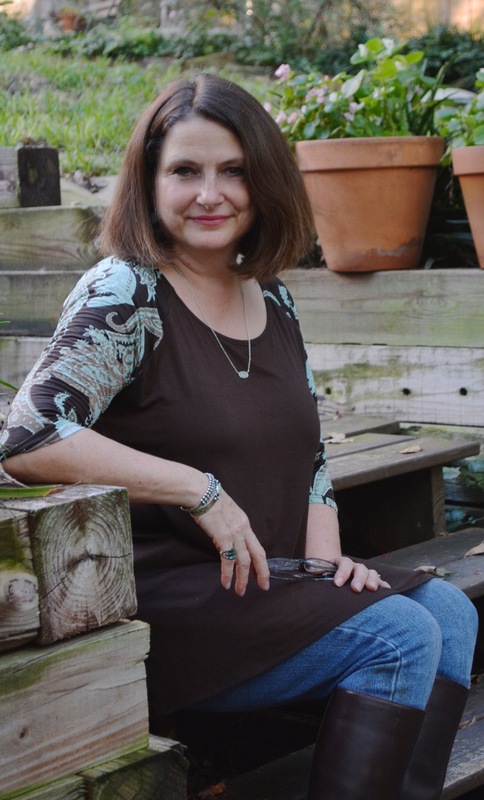 I was a life-long nail biter until I decided to become an administrator. That's when I knew my nails needed to look good all the time and started getting mine done on a regular schedule. Oh my gosh to have to wear two pr. of readers to do your nails!!! 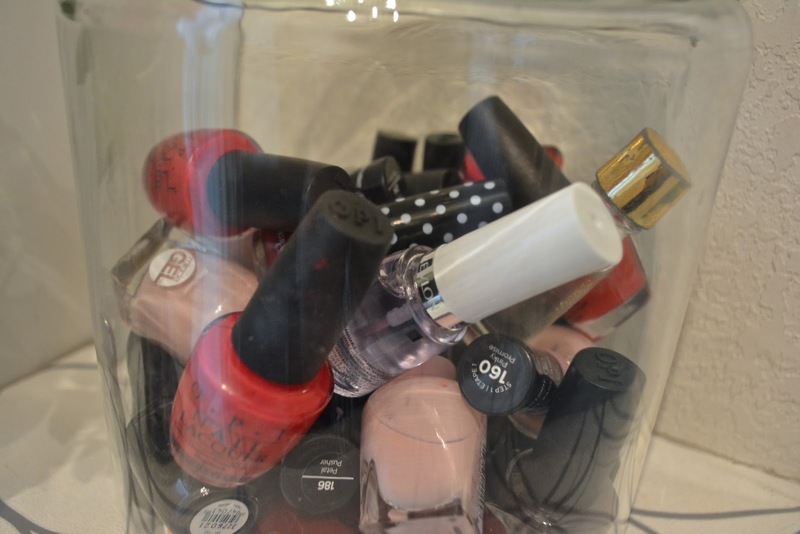 I love the idea of the large storage jar for all your nail polish colors. Happy Thursday. I have a house full of girls and the nail polish bottles are all over the place. 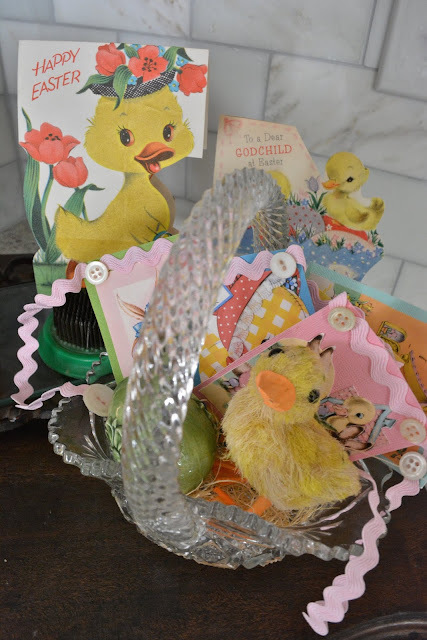 This is a fabulous and thrifty way to contain them all and see them all! Love it! Thanks for the great idea. Katie I cannot believe the number of nail salons in my neighborhood. It looks like people do their nails more than they eat. I am with you on this one, I can't see spending good money on nails every week. I love your whole organized area. The nail polish bottles look so pretty in the jar and also your jewelry looks great hanging on that accordion thing. I loved your idea of using that glass jar!! I have mine in a little bucket! I have never thought of using two pairs of glasses to better see my nails, your a genius! Enjoyed my visit here today!